Building Block Resolutions employs a variety of highly trained and enthusiastic administrative and clinical staff ready to work with your child! Our emphasis is on finding the best fit between your child and his or her Behavioral Team. Jennifer Charles graduated from Florida State University in 2004 with a Bachelor’s in Psychology and minor in business management. While studying at FSU under the direction of Dr. Jon Bailey, she earned a Certification of Performance Management where she was instrumental in designing staff productivity plan which helped local businesses. 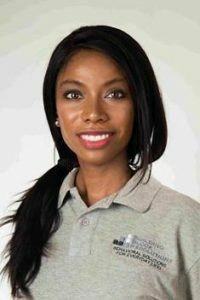 Ms. Charles became a BCaBA and working closely with pre-schools and daycares helping improve their behavioral management programs while attending Florida Institute of Technology. parents. Ms. Charles sat on the committee in West Palm Beach, FL helping members to decide on parental readiness for integration with their foster and biological children. Ms. Charles then found a passion for working with children diagnosed with Autism. In 2008 she founded Building Block Resolutions, Inc. which is now located in Los Angeles. Ms. Charles also taught the BCBA coursework at National University while working full time in private practice. Ms. Charles believes in a collaborative approach with parents to help find every day solutions for parents, while still adhering to scientific rigor. All her years of teaching has helped with the ability to break down complex concepts into simplified views. This helps parents better conceptualize and apply ABA in their own homes with strategies that work for them.